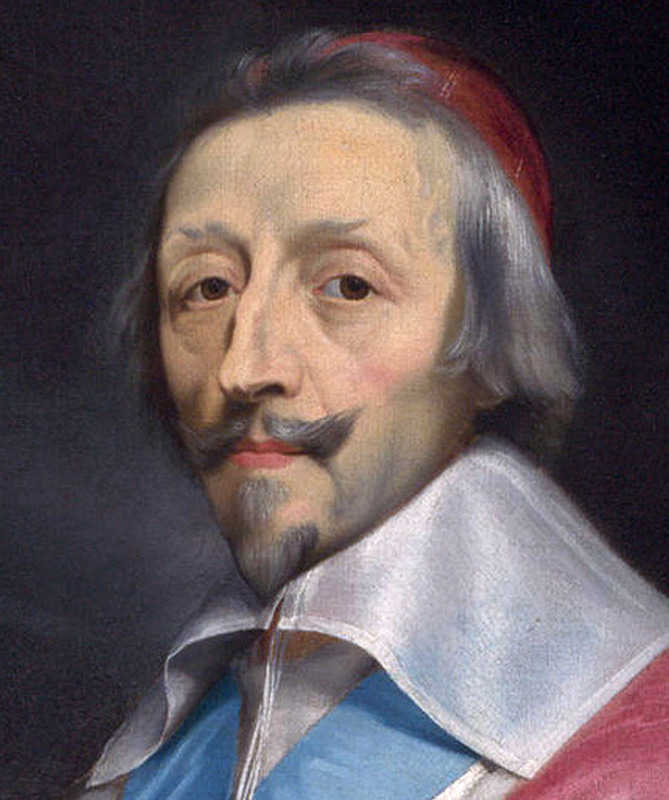 The French statesman Armand Jean du Plessis - Cardinal Richelieu (1585-1642) attained the bishop's dignity at the age of 21 due to his impressive education and great willpower. He then brought it to the cardinal and rose to the First Minister of King Louis XIII. (1601-1643). His initiative was the founding of the Académie française. Foreign policy, he saw as the greatest opponent of France, the Spanish-Austrian House Habsburg. The noble family Richelieu possessed large tracts of land in Fronsac (Bordeaux). The cardinal was a great wine lover, among other things, he appreciated the wines Fiefs Vendéens and Fronton, On Quote from him: Who does not drink wine, escapes much enjoyment, but who drinks the wine wrong spoils itself and others the enjoyment. It will also make an important contribution to the dissemination of the Cabernet Sauvignon attributed in France. Richelieu was a regular guest of the still existing famous restaurant La Tour d'Argent in Paris, in whose cellar 450,000 bottles of wine are stored today. This page was last modified at 27 June 2018 at 14:05.